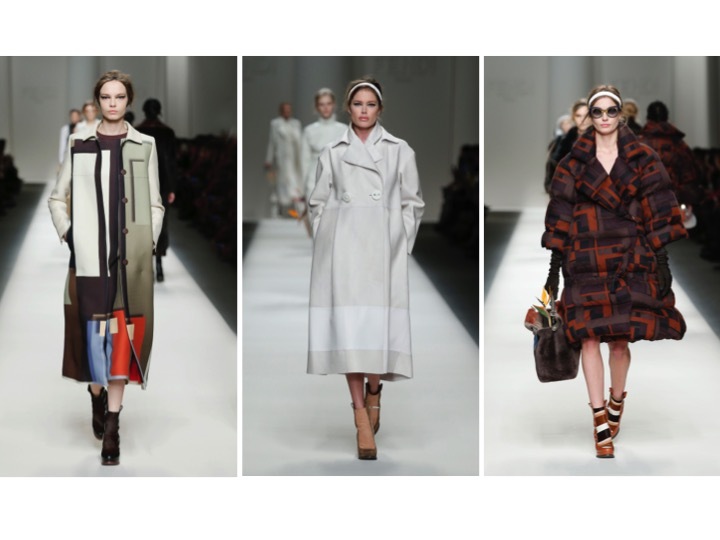 Yesterday FENDI presented it’s Fall/Winter 2015-16 Fashion Show in Milan. 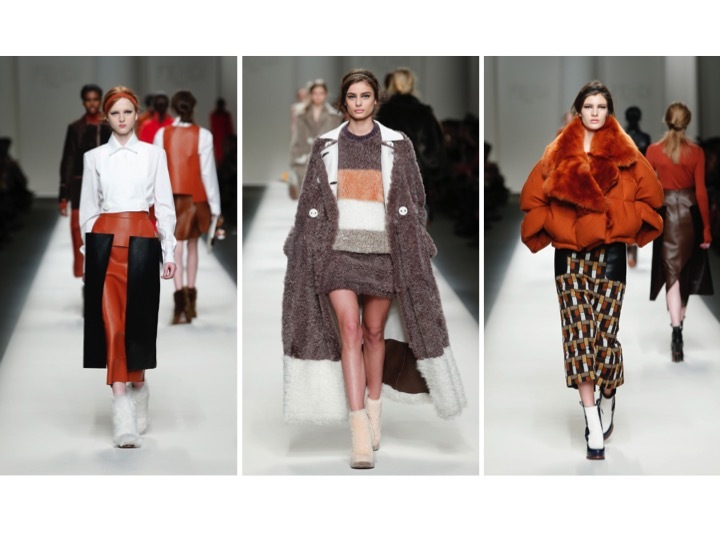 The 51 models showed pure styles with graphic elements to the beat of Michel Gaubert. Suitable to the music, a bird-of-paradise flower bobbed in the FENDI It-Bags. The looks are dominated by soft colors such as white, red, black and natural shades of brown. 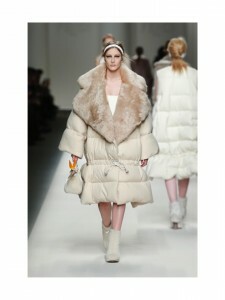 Karl Lagerfeld showed long coats with large buttons, long straight silhouettes, box down jackets with oversized lapels and funny Fur-Booties in graphical fancy design and extravagant FENDI typical materials. Source of inspiration for the collection and the Set-Up of the show were works by the Swiss artist Sophie Taeuber-Arp. 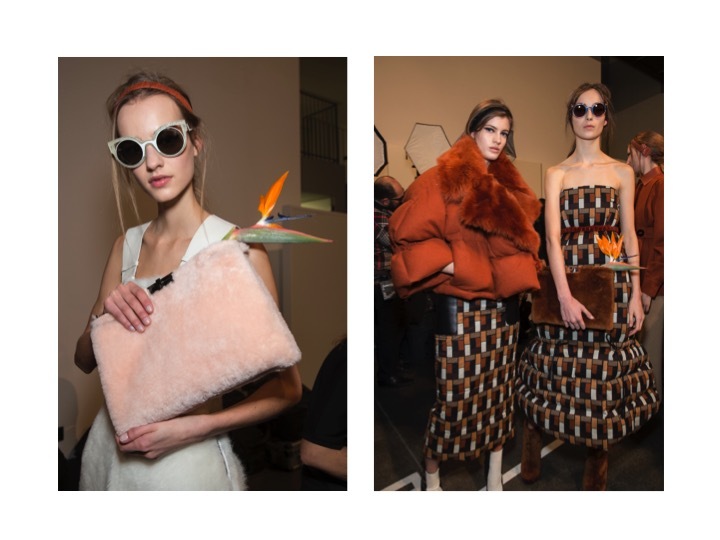 Her work is not only reflected in some Ready-To-Wear pieces, but also in the accessories, designed by Silvia Venturini Fendi. Her artistic approach with the varied vertical horizontal compositions of triangles, rectangles, circles, wavy elements and curved lines perfectly fit to the FENDI DNA and form the ideal framework for the new collection. Model Doutzen Kroes opened the show and advertising campaign model Lindsey Wixson presented the last look of the Fall -Winter collection 2015-16. In addition to the two top models, „Model of the Moment“ Kendall Jenner, Karlie Kloss and Joan Smalls exclusively walked for FENDI.